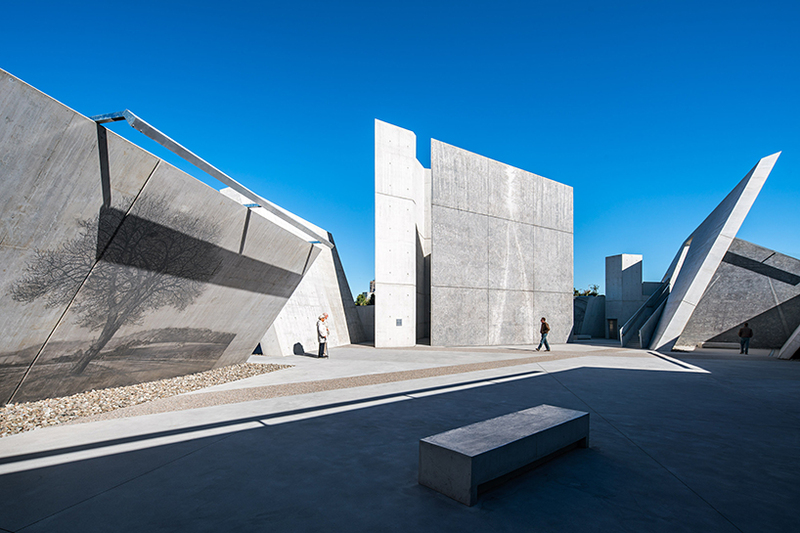 the national holocaust monument combines the fields of architecture, art, landscape, and scholarship with photographer edward burtynsky, landscape architect claude cormier, and holocaust scholar doris bergen joining studio libeskind as part of the project team. 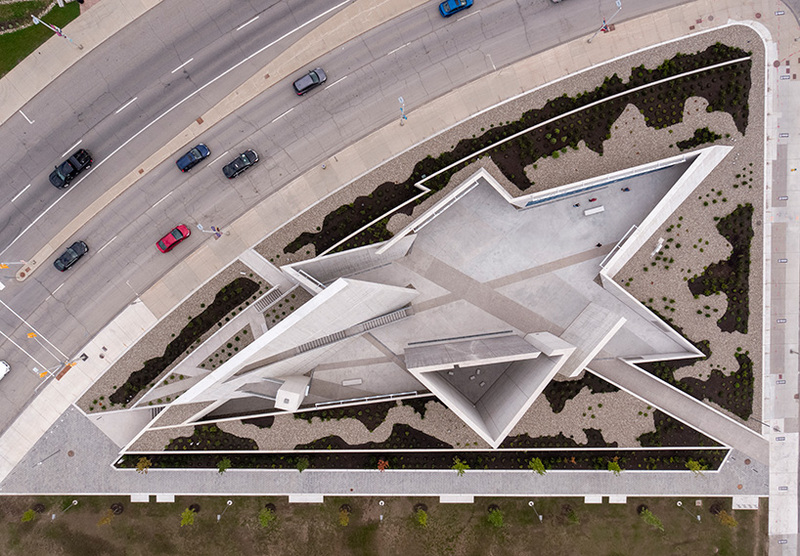 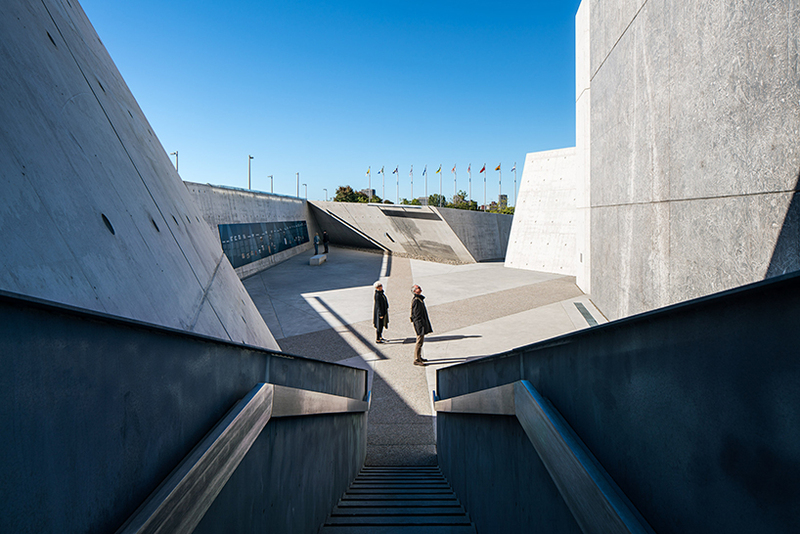 located in close proximity to the canadian war museum, the monument has been conceived as ‘an experiential environment’ with triangular, concrete volumes configured to create the tips of a six-pointed star — a visual symbol of the holocaust. 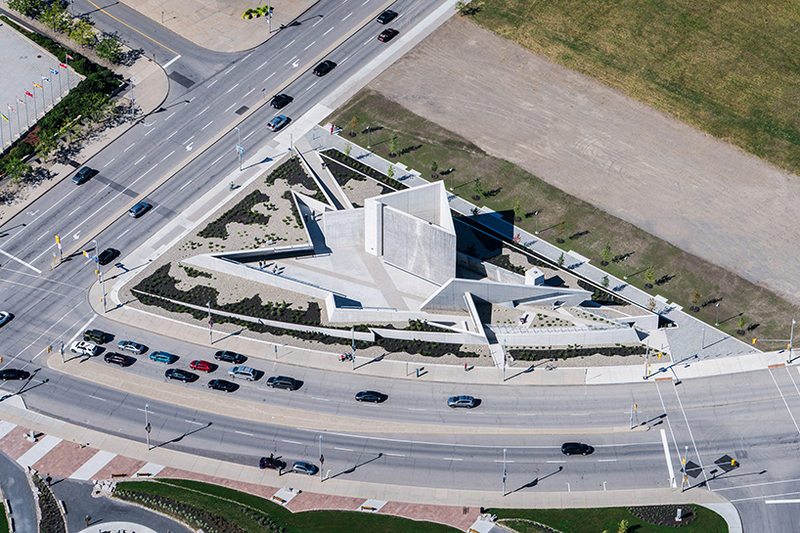 ‘the monument is organized with two physical ground planes that are differentiated by meaning,’ explains the design team. 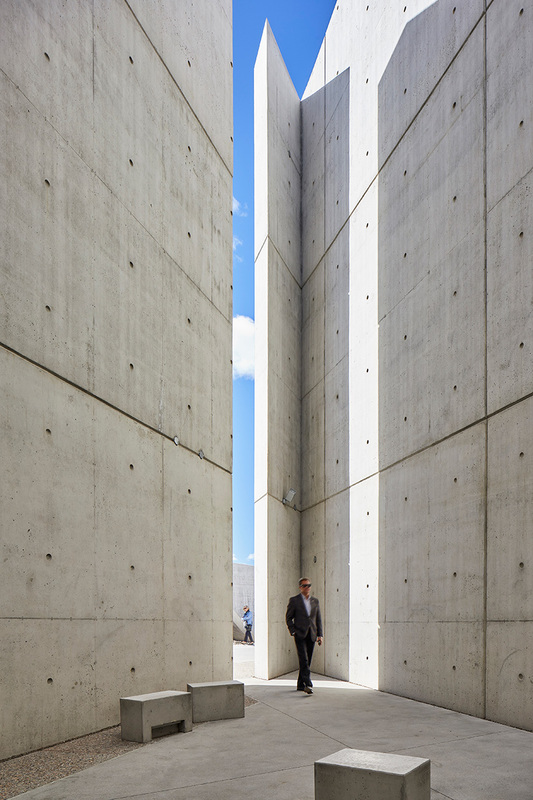 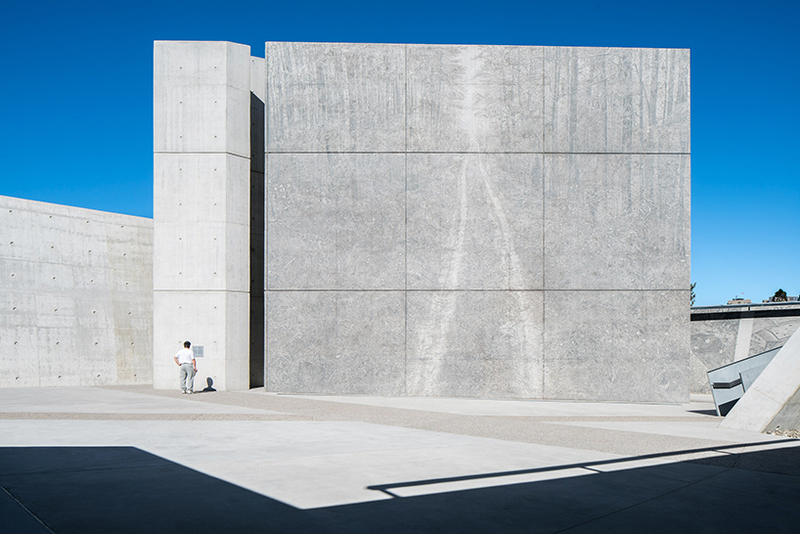 ‘the ascending plane that points to the future; and the descending plane that leads visitors to the interiors spaces that are dedicated to contemplation and memory.’ specific program areas include: an interpretation space that features the canadian history of the holocaust; three individual contemplation areas; a large central gathering and orientation plaza; and a towering sky void — a 14 meter-high enclosure that frames views of the sky. 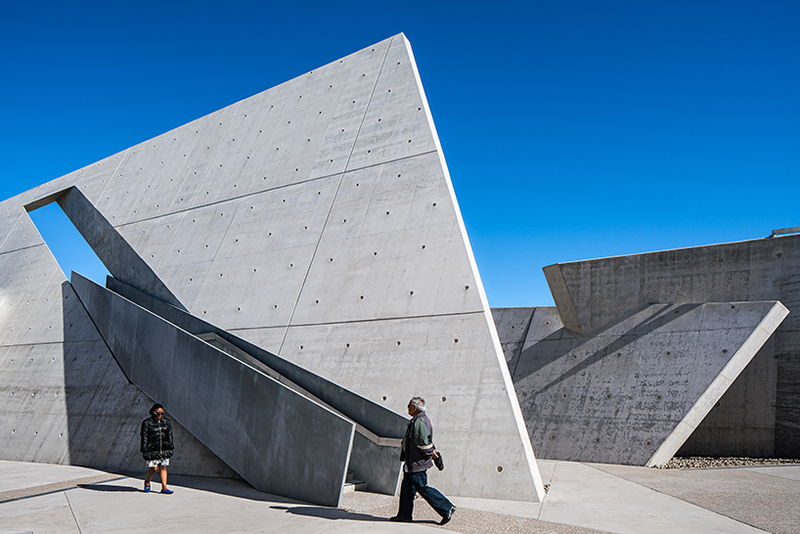 each of the triangular spaces features a large scale, photographic landscape of a current day holocaust site by edward burtynsky. 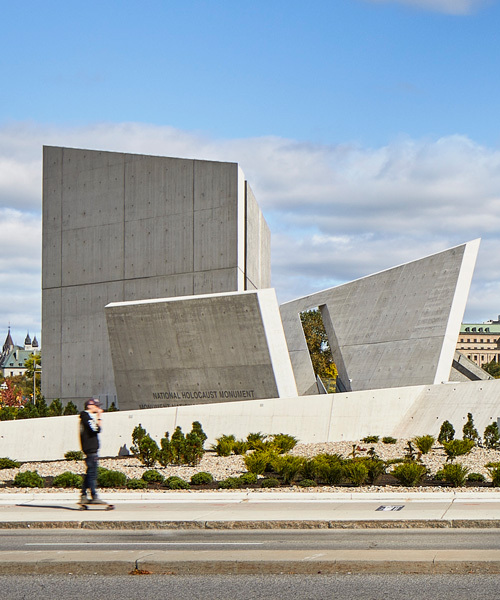 elsewhere, the ‘stair of hope’ rises from the central gathering space, and symbolically pierces an inclined wall in the direction of the city’s parliament buildings. 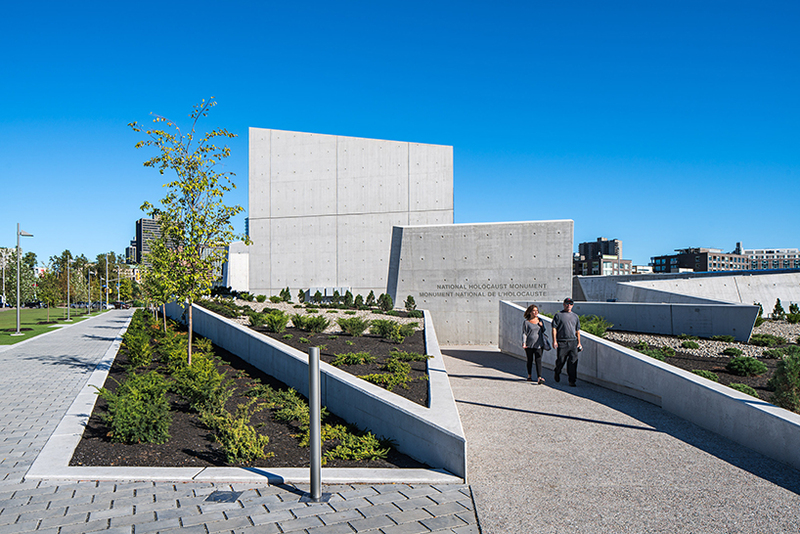 representing the ongoing contribution of canadian survivors and their children, a landscape of coniferous trees will, over time, emerge from the pebbled ground that surrounds the monument. 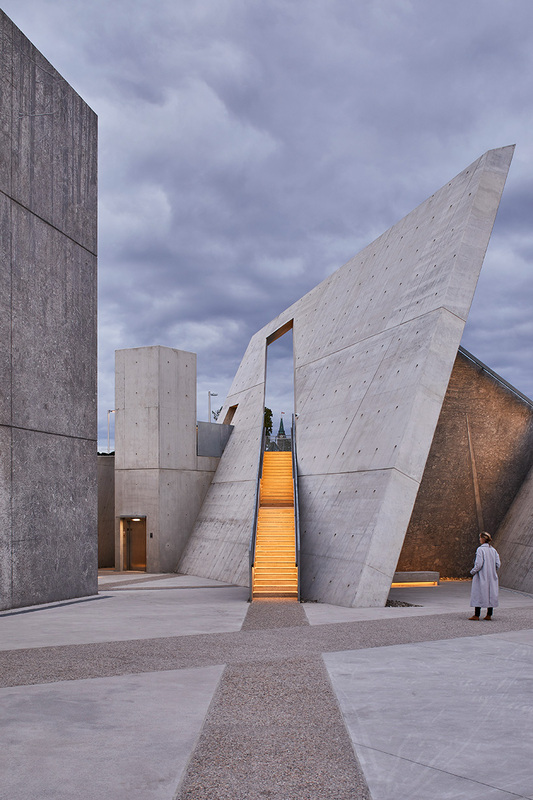 see designboom’s previous coverage of the project here. 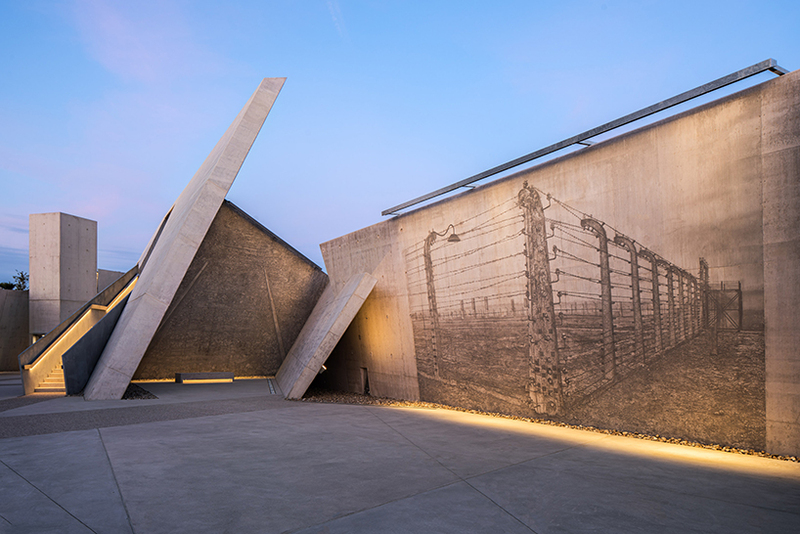 The Jews got mad and the signage had to be changed when the OTHER 5 million people who died got a mention. 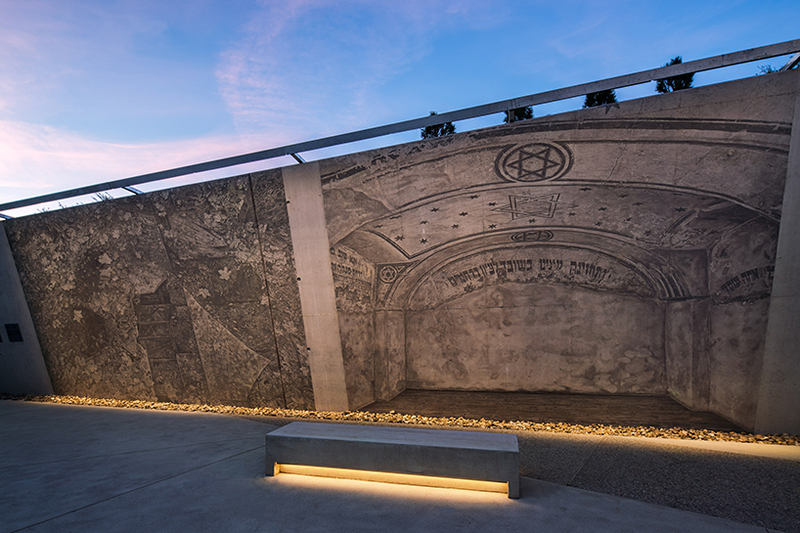 The Canadian government was right, but later served the Jewish wish that only THEY would be mentioned!